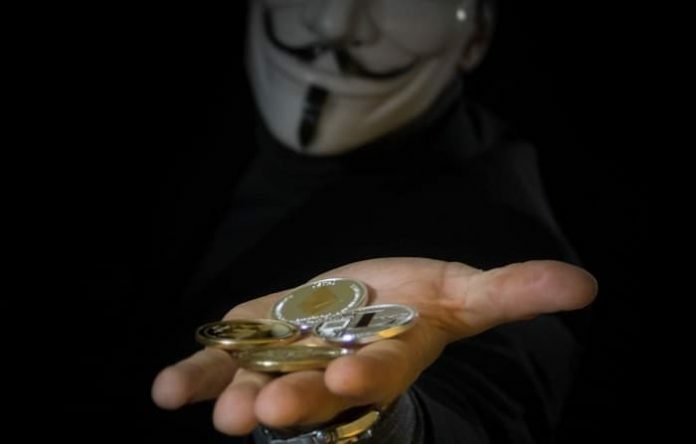 Are you wondering on how to sell bitcoins anonymously? Without exposing your identity? Then read on. Bitcoin has the reputation of being an anonymous digital currency as the Internet equivalent of physical money, but that is not entirely accurate. In normal use, Bitcoin is more a pseudonym and non-anonymous currency. Anyone can download simple software and install it on their computer to use Bitcoin. As this is a decentralized peer-to-peer system, you do not need to register an account with a specific company or provide your personal information (unless you choose, for example, a provider of web portfolios). Once you have a wallet, you can create addresses that become your identity on the network. This already offers greater privacy than other digital payment systems because you can use the network anonymously. However, there is another aspect of Bitcoin. 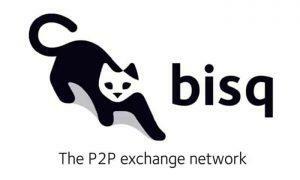 Since the network must recognize all participants that share the transactions and the transaction history, there is a public record of all transactions to which everyone can access. In fact, it’s the blockchain: a common public record of everything happening in the Bitcoin network. As a result, the public knows all transactions in which you are involved, even if the public does not know your personal identity as a portfolio holder. This can be a problem for the privacy-conscious user, especially since there may be other ways for an observer to associate the portfolios he uses with his personal identity. For example, most stock exchanges that buy and sell digital currencies are centralized service providers that require at least some of their customers’ identity information before they can use the service. This is just an example of a service that uses Bitcoin but also needs identity information. There are many more, from casinos to online sales sites. By analyzing the activity visible to anyone in the public blockchain, an observer can associate his personal identity with all the portfolios he uses, and therefore with his entire transaction history. In a way, this makes Bitcoin even a bit private rather than a bank account. Fortunately, there are ways you can do to enhance this situation. If you want to make sure that your financial activities with Bitcoin are not associated with your “real” identity, you may be wondering how to sell Bitcoins anonymously. When selling your currency, there is an increased risk that your digital activity is associated with your personal identity, as many websites require you to confirm your identity and provide identification documents to make a purchase. This should help them avoid pursuing money-laundering laws. So, if you want to remain anonymous with Bitcoin, it’s an important part of the process. If you cannot make a private deal using the methods below, you can sell with a different method and use a mixing service to transfer coins into your purse. This will usually be enough to protect your privacy, although it is not so good to disclose your identity early and reduce costs. Using a peer-to-peer exchange where you can transact with others rather than in a company gives you more level of privacy than using a central service. Bitsquare is a totally decentralized exchange where you can exchange directly with another person without having to go through a central service provider. You are downloading P2P software instead of going to a website. When you open Bitsquare, create your own “hidden service” in TOR with your own onion address and direct everything through this well-established privacy service to hide your IP address, which allows you to identify it. There is no registration or need to enter a username. However, you will need a small 0.01 Bitcoin deposit that you will recover if you have made an exchange or if you cancel your offer, so if you want to sell your first bitcoin, you probably have to go through one of the other options first. Personally, I think this is the best way to sell bitcoins anonymously, but the fixed rates mean that it is expensive for small quantities. Check this tutorial video on how to sell bitcoins anonymously using bitsquare. 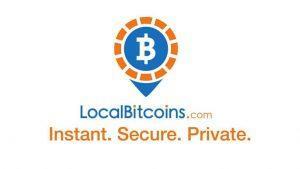 LocalBitcoins is a very popular peer-to-peer service for selling parts that operates in many different countries. If you use this site, you have the option to specify identity information or not. Other users may also deal with anonymous users or request identity information. Many users require some type of identity information, either through the system of credentials of the website or privately, to protect against fraud and regulatory investigation. However, it is still possible to organize anonymous transactions using this method. When transacting on LocalBitcoins, users who are particularly concerned about their privacy should consider paying in cash. This is especially important if you make a large volume of purchases, since only the volume can trigger a deeper investigation of your bank, less important for smaller quantities, but may be preferable for some users. There are two ways to do this: a personal exchange where you meet someone (often requires a larger purchase, so it is worth knowing you), or a “cash deposit”, where you enter a bank. Deposit money directly into your account. Once you have registered, simply click on “Sell Bitcoins” and you will see a link that says “Show more” below the most popular offers list: you will see a list of payment methods to choose from. For example, you will only see offers from users who want to buy bitcoins in this way. There is an identification verification system on the LocalBitcoins site, but its use is optional. Some sellers will need it, others will not. Some sellers may also ask you to send them a copy of their identification via a private message (although, if you can make a cash transaction, any kind of identification requirement is less likely). In general, it is best to give your identity to a person instead of uploading it to the main page, but some people are uncomfortable. Each seller needs to list their specific needs in advertising, and you can also send them a message before opening a transaction to get more information about their policies so that it is not difficult to find the right seller. Note, however, that the offers listed here are constantly changing as different users come and go. So, if none of the payment method lists you have chosen meet your needs, it can be helpful to be patient and check back later. Coinffeine is not only a peer-to-peer exchange, but also a decentralized exchange. Currently, the only payment method is OKPay, which has its own identification requirements, but you do not need to share personal information about Coinfeine and the additional payment methods will be added later. Now that you know the difference between the two preferred methods, I will now show you how to withdraw money in cash using intermediate contracts! Coinbase is the most popular broker for selling Bitcoins. They handle more Bitcoin transactions than any other brokers and have a massive customer base of 13 million. Withdrawal Methods: With Coinbase, you can sell bitcoins in cash, which you can then deposit into your bank account. You can only withdraw your Bitcoin from a bank account that you have already used to sell currency in Coinbase. So, if you have not already done so, I recommend you first sell a small amount of Bitcoin. Fees: Fees depend on the country in which your bank is located. For example, if you want to sell Bitcoin for USD, a bank transfer is $25. If you are in the EU and you have SEPA, it costs only $0.15! Withdrawal Times: Withdrawal times also depend on the country where your bank is located. Payments in the US typically take 4 to 6 business days, while payments in the EU take 1 to 3 business days. For your convenience, I will show you how to sell Bitcoin on Coinbase . First, you must open an account in Coinbase, link your bank account and make a deposit. If you have already done so, go to step 2! Once your account is set up, you must send your Bitcoin to your Coinbase Bitcoin address. Click on the Accounts tab, open your Bitcoin wallet and click on “Receive”. Then you will see your Bitcoin Coinbase Wallet address. This is the address you need to send your Bitcoin. Once you’re done, click Buy/Sell at the top of the page. Suppose you have sent your Bitcoin to your Coinbase folder. Here you can see your Bitcoin wallet and your default currency. In the example below, I opened a EU account, so my deposit portfolio is in Euro (EUR). It will change, depending on where you are. For example, US customers are in USD. You have the option to refuse to participate in USD, and Japanese users can choose to pay in JPY. You can also see your payout limit. If you have already confirmed your account, your limits are very high. However, if you need to increase this number, click Show limits and follow the additional verification instructions. Before you can withdraw money, you must change your Bitcoin in your local currency. 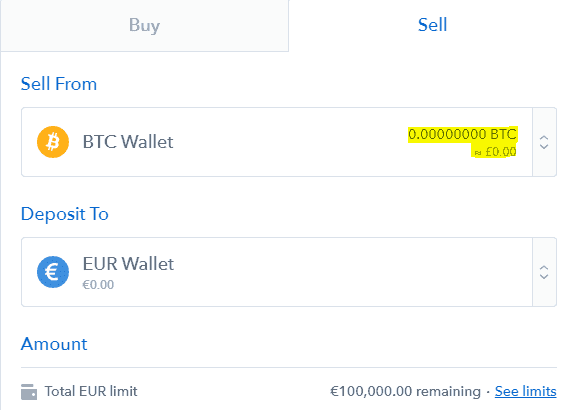 In my example, I change Bitcoin to Euro (EUR). Enter the amount of Bitcoin you want to sell and the money equivalent will be updated. Once you click on Bitcoin to sell immediately, your money will now be in your purse. Finally, to cash out Bitcoin to your bank account, click on your Fiat Wallet (for example EUR / USD / YEN) and click on the withdrawal. Your bank details will be saved if you have previously configured them. Congratulations! 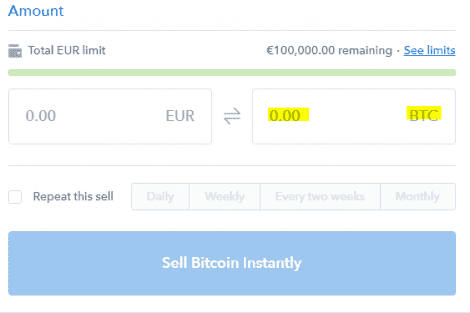 Now you know how to convert Bitcoin into USD, EUR and other currencies with Coinbase! Remember, there are many other brokers that you can be use. Another popular option for Bitcoin sellers is Kraken! First, you must open an account with LocalBitcoins. Choose a secure username and password. Once logged in, click Sell Bitcoins at the top of the page. Then you have to choose the country where your ideal buyers are located. I recommend using your own pitch (of course), but it depends on you. In this example, I chose Great Britain. You must also enter the amount of Bitcoin you want to sell. As you will see below, there are different ways to sell your Bitcoin. In this example, I will show you how to sell Bitcoin with PayPal. As you can see, the buyer has a 100% rating and has completed more than 1,000 transactions! It is a sign of a serious and legitimate buyer. Confirm the amount of Bitcoin you want to sell. Then click Send Inquiry. Your buyer will receive a notification that you want to sell your bitcoins to him. Once he has accepted, you will send your bitcoins to the LocalBitcoins Trust (we used to declare a trust account, remember?). The buyer does not receive his bitcoins until you have been paid and you confirm that they did. Congratulations! You now know how to sell Bitcoin via a P2P exchange. Once you have gained more experience with localbitcoins, you can practice selling with different payment methods. The good news is that some payment methods allow you to sell your bitcoins at a higher price; It is worth getting used to it. It’s also a good idea to create an ad. Even if it costs you 1% of the fees, you can set your own price and choose your own payment method. In this case, you will receive a notification from the buyers if they wish to buy from you. If you enjoyed this article on how to sell bitcoins anonymously, please share it with the rest of the world.